Welcome to Georgia Elite Gymnastics, Inc! Please complete the following registration form. 1: I represent that I am the parent or legal guardian of the participant(s) named above or I have obtained permission from the parent/legal guardian of the participant(s) named below to execute this agreement on their behalf. 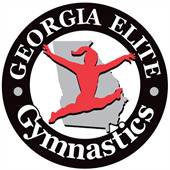 2: I acknowledge and understand that there are known and unknown risks associated with participation in all the activities that are offered at Georgia Elite Gymnastics, Inc. that includes the use of the gym area, trampolines, pits and any and all other Georgia Elite Gymnastics, Inc. equipment. Known and unknown risks during these activities include but are not limited to: scrapes, cuts, bumps, contusions, fractures, paralysis, or death. 3: I, for myself, family in attendance and the participant(s) named, willingly assume the risks associated with participation and accept that there are also risks that may arise due to other participants which I also willingly assume. 4: I agree that the participant(s) named, and I shall comply with all stated and customary terms, posted safety signs, rules, and verbal instructions as conditions for participation in any activity at Georgia Elite Gymnastics, Inc.
5: I, for myself, the participant(s) named, our heirs, assigns, representatives, and next of kin agree to hold harmless, release, waive and indemnify the independent owner of the Georgia Elite Gymnastics facility and Georgia Elite Gymnastics, Inc., their predecessors, parent, subsidiaries and affiliates, officers, and employees from any and all injuries, liabilities or damages from participation, except for those arising from the gross negligence or willful misconduct of Georgia Elite Gymnastics, Inc.
7: I am of physical ability to participate and am legally competent to understand and complete this agreement. I hereby execute this agreement without coercion. 8: I understand that entry, by myself and the participant(s) named, constitutes consent for Georgia Elite Gymnastics, Inc. to use any film, video, or likeness of participants for any purpose whatsoever, without payment to the participant. 9: The invalidity or unenforceability of any provision of this Agreement shall not affect the validity or enforceability of any other provision of this agreement, which shall remain in full force and effect. 10: Any controversy, dispute, or claim arising out of or related to this agreement shall be within the state of Georgia. You specifically appoint Georgia Elite Gymnastics, Inc. to authorize emergency medical treatment for your child, to execute consent, orders or other documents for any medical procedure which is required to save the life of your child, or to prevent a deterioration of any existing or new medical condition, or to stabilize any medical condition, which may or may not deteriorate, as fully as you could if you were present. There is a one time $40 registration fee per child (with a $80 family maximum) for participants enrolled in our class program when you are new to our gym. This is due at the time of enrollment. Your monthly tuition payment will be due on the 1st of the month and considered late after the 10th of the month. This payment will cover an entire month for your spot in a class. You can pay at the gym by check, cash, or credit card or through our autopay system. You understand and authorize that you must have a credit card on file and your credit card will be charged the monthly tuition (and any other unpaid fees) if we have not received your payment by the 10th of each month. If your card is declined causing your payment to be late (after the 10th of the month) a LATE FEE of $25 will be assessed. Our curriculum is year round and continuous. YOUR ENROLLMENT IS ONGOING UNLESS YOU NOTIFY GEORGIA ELITE GYMNASTICS INC. IN WRITING THAT YOU WOULD LIKE TO TO CANCEL YOUR CHILD'S ACCOUNT AT LEAST 14 DAYS PRIOR TO THE START OF THE NEXT MONTH. Class Attendance Policy: Tuition is based on a monthly commitment and you are required to pay in full on the 1st of the month in order to keep your child's spot in the class. If needed, you are allowed one make up class per month. Most months you will get 4 classes, however there may be months where you have 3 or 5 classes, Georgia Elite Gymnastics, Inc. does not change the monthly fee when this occurs. * If you want to sign up in the middle of a month we will prorate your payment for that first month. Full payment is due at the time of registration. You can pay with your credit card when you register online or you can come to the gym and register at the front desk and pay with cash or a credit card. You will not have a spot in camp until we have received your payment. There are NO REFUNDS on camp registrations. There is an annual $40 registration fee per child due every year on June 1st. Your monthly tuition payment will be due on the 1st of the month and considered late after the 10th of the month. This payment will cover an entire month for your spot on team. You can pay at the gym by check, cash, or credit card or through our autopay system. You understand and authorize that you must have a credit card on file and your credit card will be charged the monthly tuition if we have not received your payment by the 10th of each month. If your card is declined causing your payment to be late (after the 10th of the month) a LATE FEE of $25 will be assessed. Our team program is year round and continuous. Your team commitment is from June-May of the current season. If you choose to quit the Georgia Elite Gymnastics, Inc. team program we will need to be notified in writing that you would like to cancel your child's account at least 14 days prior to your next payment due date. Team Attendance Policy: Tuition is based on a yearly commitment and you are required to pay in full the monthly tuition on the 1st of the month in order to keep your child's spot on the team. Withdrawal Policy (CLASSES & TEAM): Your child's enrollment is ongoing and will be carried over automatically to the following month's roll. Should you choose to withdraw your child from our program, A 14 DAY WRITTEN NOTICE IS REQUIRED PRIOR TO THE START OF THE NEXT MONTH. If notice is not received you will be responsible for payment of one month's fees as we do not prorate tuition once you are enrolled. This policy allows us to maintain the quality of our services, anticipate our training needs, and keep our accounts accurate. Parents/Adults are only permitted in the gym for the Parent & Me classes and Birthday Parties which are both led by a coach. When entering the gym. you understand the dangers such as uneven surfaces and equipment risks. Other dangers include the ongoing activities by other participants that can lead to injuries if you interfere with their training. If parents/adults decide to enter into the gym for any other reason they assume all risks involved as well. Adults are not permitted on any equipment including trampolines and pits during Parent & Me classes or Birthday Parties.